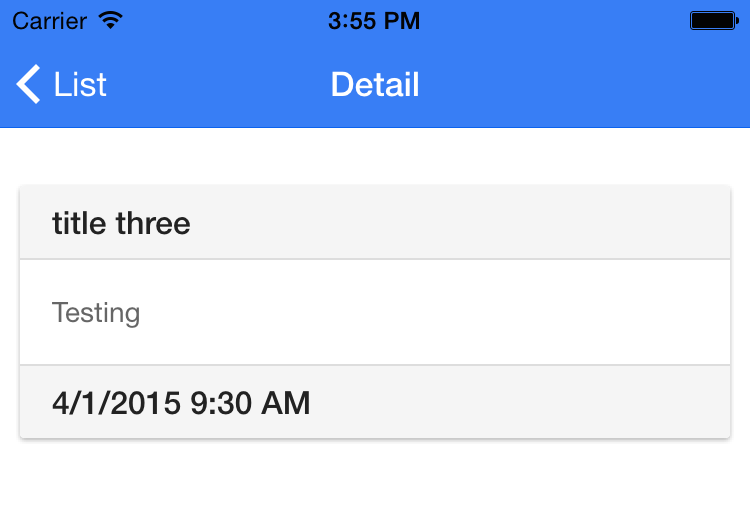 As I continue my look at integrating MobileFirst and Ionic, today I’m going to look at the SQL Adapter. MobileFirst Adapters are server-side components that connect your hybrid mobile application to other things. Those “things” being generally broken down into a few categories, and a few specific adapter types. The SQL adapter is, as you can guess, a connection to a database. 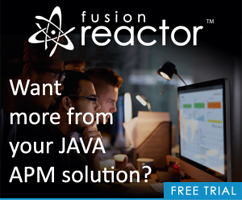 So at this point you may be thinking - isn’t that what I’d use ColdFusion, or Node, or heck, even PHP for? Sure - this is traditionally something an application server would handle. But MobileFirst lets you skip installing a complete application server where your needs may be met by a simpler adapter. If you’ve ever written server-side code that literally takes in a HTTP request, calls a simple SQL statement, and then just spits out JSON, then you really don’t need a complete separate application server for that. The SQL adapter will handle that for you out of the box - and much easier. Select the one you want (in our case, SQL), and then just accept the default for the next question. 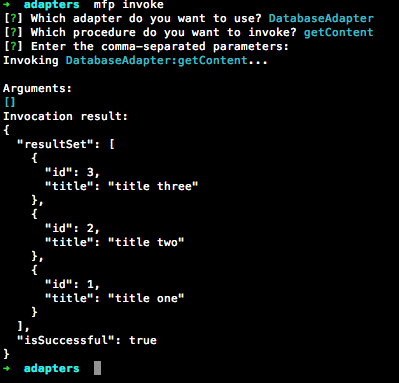 This will create two files under your adapters folder: MyAdapterTest.xml and MyAdapterTest-impl.js. Both the directory these are created under and the names themselves are based on the name of the adapter you chose. 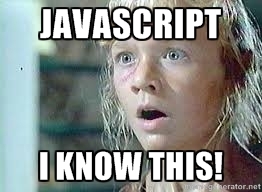 Let’s first look at the XML file. 5725-I43 (C) Copyright IBM Corp. 2011, 2013. All Rights Reserved. disclosure restricted by GSA ADP Schedule Contract with IBM Corp.
That’s a lot of markup, but you really only need to care about two parts. Under dataSourceDefinition, you can see a class, url, user and password defined. If using MySQL, you can leave the class alone, but do not forget to grab a copy of the MySQL Jar and copy it to your project! Modify the URL to point to your MySQL server and database. Finally, set an appropriate username and password. *  5725-I43 (C) Copyright IBM Corp. 2011, 2013. All Rights Reserved. *  disclosure restricted by GSA ADP Schedule Contract with IBM Corp.
And that’s really it. You do need to remember to build/deploy when you work on your adapter. When I worked on my demo, I kept one tab open for my adapters and one more my common (HTML, CSS, JS) code so I could build/deploy at will when I needed to. Looking at it now, getContent feels a bit vague since it can mean one or more things, but you get the idea. Now let’s look at the code. So I assume this probably makes sense as is. 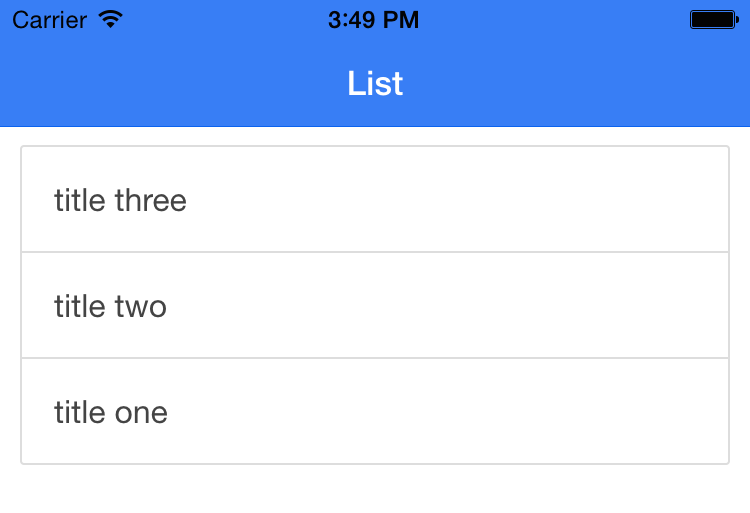 I’m using the MobileFirst server-side API to create two SQL statements. Notice that the second one has a bound parameter. I then build my two functions with names matching the procedures in the XML. The first simply executes, and returns, all the rows, while the second uses a parameter to return one row. For a video of this process, watch the embed below!